A blog and The Life In Between : How to beat Miami humidity. How to beat Miami humidity. Tips on how-to beat the humidity no matter where your travels might take you. I have just touched down in Miami and humidity couldn't be more real. As much as I love traveling [which has been almost every few weeks lately] it becomes exhausting to find ways to deal with a heat. Humidity can affect a few things during your getaway - the mood as it causes exhaustion and wardrobe because you’re drenched no matter what you wear - overall it's not the most pleasant weather to be excited about. However, instead of complaining you gotta find ways on how to prevent it and enjoy your vacay! So I am listing a few tips that work for me when traveling to humid tropical destinations or even dealing with everyday life during these hot summer days. What you pack is the most important part of your trip as things you decide to bring will either make your trip or break it haha. First things that come to our mind when packing are the usuals: makeup, hair tools, clothes etc. and that is where we tend to get distracted and forget about the most important things like a good deodorant that can do it all - give you confidence and protect your OOTD no matter what color outfit you decide to go with. 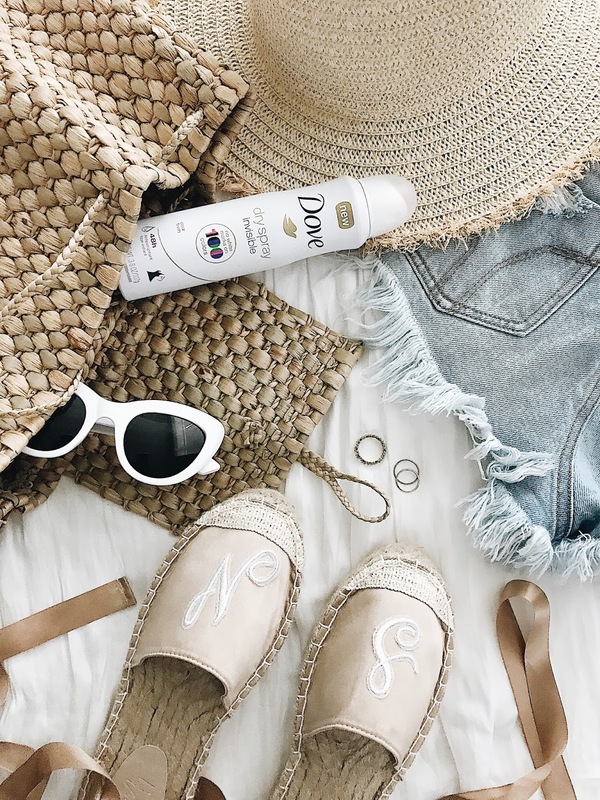 My go-to is a Dove Invisible Dry Spray deodorant which goes on invisible and leaves no white marks on 100 colors [yessss 100 ladies!] so pack anything you want because you won't have to worry about those awkward moments where you realize you have a white mark and you have to wash it in the public bathroom and then worry about drying it out [haha, let's admit it, we've all been there!]. As a matter of fact, when faced with white marks, 57% of women report trying to wash them out, while ultimately 1 in 3 women say they've had to change their outfit completely. 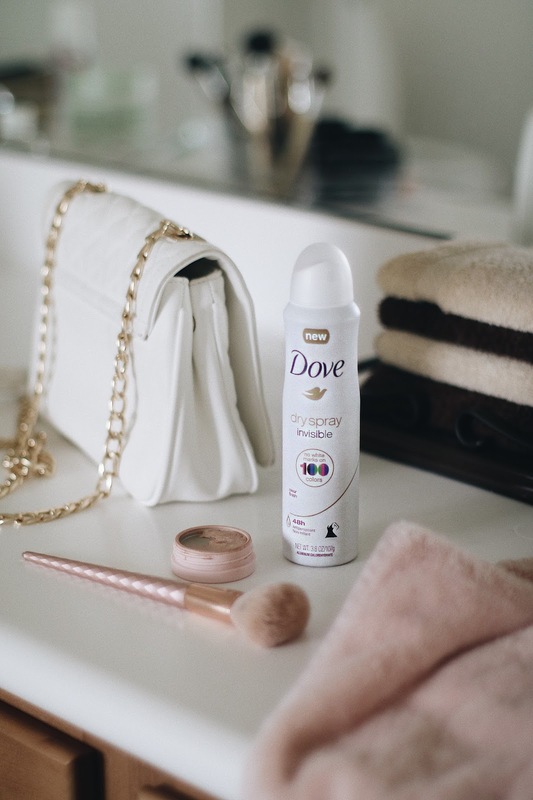 You can purchase Dove Invisible Spray at your local convenience store or online on HERE. 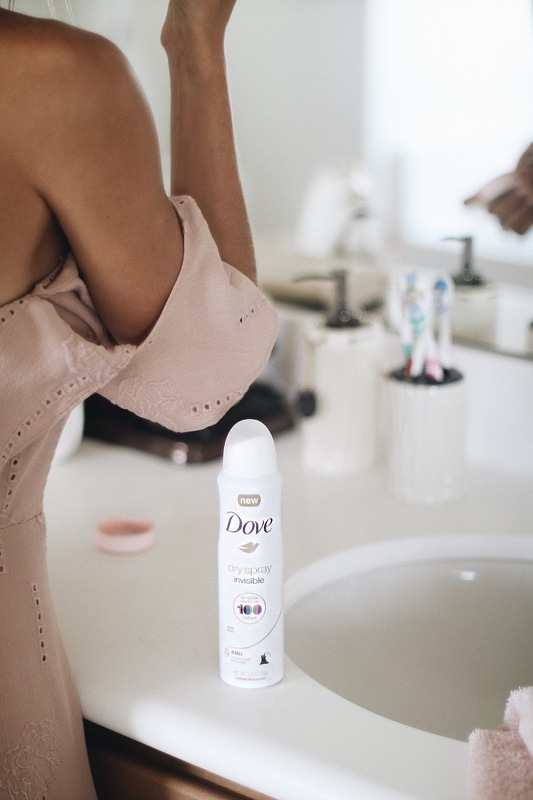 Thank you DOVE for partnering with me on this post.